Every person has very different ideas of success. Some people see fame and money as success, some see having a beautiful family as success, and some see just being happy with themselves and their life as success. Therefore, the first thing to ask yourself is what your definition of success is. This is crucial, because if you don’t know this yet, then you can’t map your road to success. Surprisingly, many very successful people have differing opinions on what that word means. For example, Richard Branson states, “Too many people measure how successful they are by how much money they make or the people they associate with. In my opinion, true success should be measured by how happy you are.” Arianna Huffington suggests that success should be measure by “four pillars which consist of well-being, wonder, wisdom, and giving.” Thomas Edison says success is, “1% inspiration, and 99% perspiration.” By far, I think my favorite is quoted from Warren Buffet. Buffet says, “I measure success by how many people love me.” I think that speaks volumes to character. Regardless of these wildly successful people’s definitions of success, everyone’s is different, and you have to come up with your own. There are many ways to derive your definition of success; however, the best way to establish it is sitting down, writing your goals, and deciding what this word means to you. The next question to ask yourself is, “How do you want to get there?” This is probably the most important question you need to ponder on. I can sit here and tell you that what you need to do is sit down, write your goals, decide your definition of success and decide how you want to get there. However, that doesn’t work for everyone. Everyone doesn’t write everything down and have a concrete plan. So, if like many others, you are like this, you always want to keep your definition of success in the front of your brain, as well as how you want to get there. By doing so, you will be able to apply this to every decision you make in your life. You should ask yourselves, “Will this help me get to where I want to be?” If not, move on. Otherwise, you will drag yourself down, and end up living with regret that you didn’t take YOUR road to YOUR success. In a world full of distractions, many people lose their way of their grand vision. Success.com states some very important factors of how to eliminate distractions while trying to achieve success. However, I think there are two that are most important. The first one being, “Mind your physical health.” This is simple, always check in with yourself along the way and make sure you’re okay. Trust me, it’s okay to not be okay so make sure you’re keeping an eye on yourself. Second, “Eliminate or minimize the negative people in your life.” This one is challenging, I know. 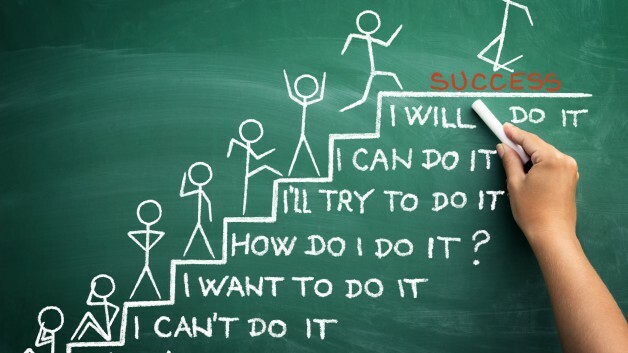 However, you must do this in order to succeed at anything, or just live a positive life. Get rid of the haters who say you can’t do that, or the people who say you’re not smart enough, not pretty enough, or those people that everyone hates that are CONSTANTLY negative towards everything that is unfamiliar to them. Trust me, success isn’t easy. Finding your version of success will make you rip your hair out, roll your eyes and want to scream from the top of the mountain. Therefore, if you ask yourself what your version of success is, how you want to get there, and take action, then you will be there before you know it. Doggy Daddy of a Beautiful Beagle. Pursuing a Degree in Marketing with Baker College. Aspiring Writer, Social Influencer, and Blogger.